Would you like to interpret the cowl body tag on your Cadillac? Here's a good article found recently from the Potomac's newsletter. READ MORE. “The oil we bought in the ‘60s and ‘70s is not what’s out there for sale nowadays!” We’re all trying to keep up with the changes. They can be complicated. READ MORE. MY HORNS DON'T WORK, NOW THEY DO! I learned a lot from fellow CLC members while fixing the horns on the “Turk,” my ’58 Extended Deck Sedan. There’s a wealth of help scattered throughout the forums and web sites. Sharing what I learned about horn issues is what this article is about. READ MORE. Jeffrey Alman's tried and true approach to cleaning an engine bay. Here are 8 simple steps to making that engine gorgeous for the next event. READ MORE. Save yourself some headaches with great advice from the Cadillac classic experts, Bob Winchell and Doug Bailey of The Peach State Cadillac & LaSalle Club. Here's a 3 page PDF chock full of great tips on ensuring your classic rolls on and on through those fabulous driving tours. READ MORE. Halon extinguishers are my pick. Click on THIS LINK and you'll see why. Typically, when you need an extinguisher in the automotive world, it's because of a fuel or oil fed fire, both of which are difficult to put out. 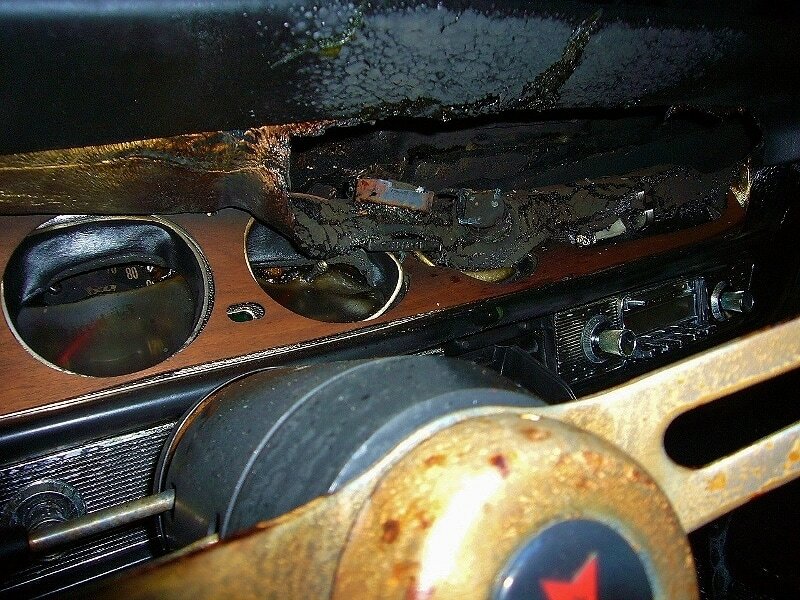 When I did product development work for an electric vehicle company, I had to go to the site of any of our vehicles that developed a "High heat condition".....most commonly known as a fire. 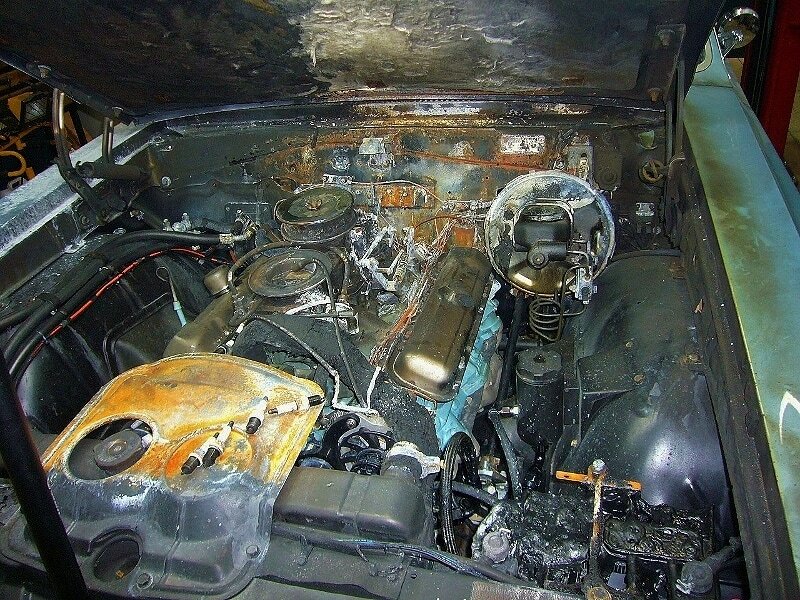 I witnessed the aftermath of many fires that had much worse outcomes than necessary because of no extinguisher present, or one that was not effective on 6 or 8 burning lead acid batteries. Kidde flooded the market with poor quality, inexpensive, extinguishers and smoke detectors so anything of good quality will seem expensive...until you need one that actually puts out a fire. If anything helps , pardon the expression, "light a fire" under someone with a classic car to acquire a good quality extinguisher, hopefully it's the attached pics. I've never shared these with anyone before because it was such a heart breaking sight. But, this seems like a good reason. My therapist will be delighted as well. Hope that help! Always glad to share my experience.